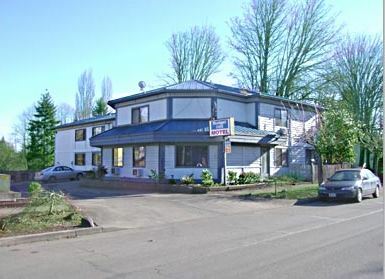 The Budget Inn is proud to serve Forest Grove, Hillsboro, Beaverton, Portland areas, as well as Washington County. At the Budget Inn "We Care About Your Comfort". All rooms have Air-Conditioning and are equipped with Refrigerator, Microwave, Clock Radio, Direct Dial Phones, Remote Control, Cable Television with HBO and more. Only 4 blocks from the Pacific University and 9 miles from the Hillsboro Airport. Beaverton and Portland are nearby, or to the west is the Oregon Coast which is only 57 minutes away. Enjoy the drive along the way. At the Budget Inn, our goal is to ensure the complete satisfaction of every customer, while offering knowledgeable and friendly service at affordable rates.